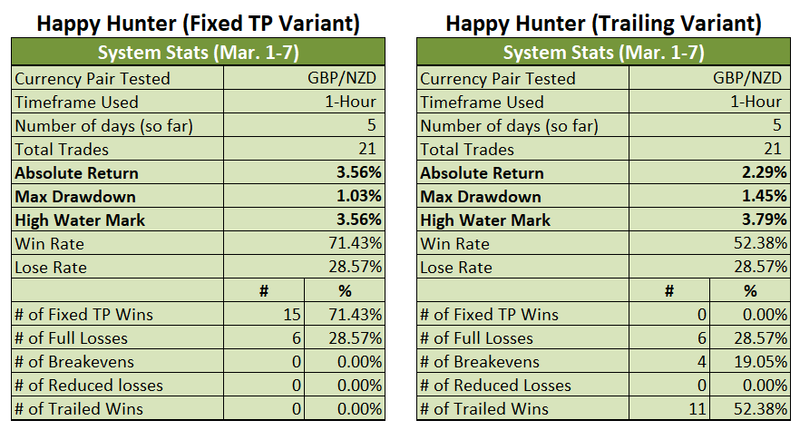 Another day, another hunt for the Happy Hunter trading system. So, how did the most recent hunt go for the two variants? Well, the Fixed TP Variant had another very good day. As for the Trailing Variant, it didn’t do too well. By the way, I have already posted the updated rules for both variants, so check out the links below. And before you ask, today’s daily update is still based on the original rules because I have to apply the rules from the start of March (February is already partly done) and I didn’t have time to do so. 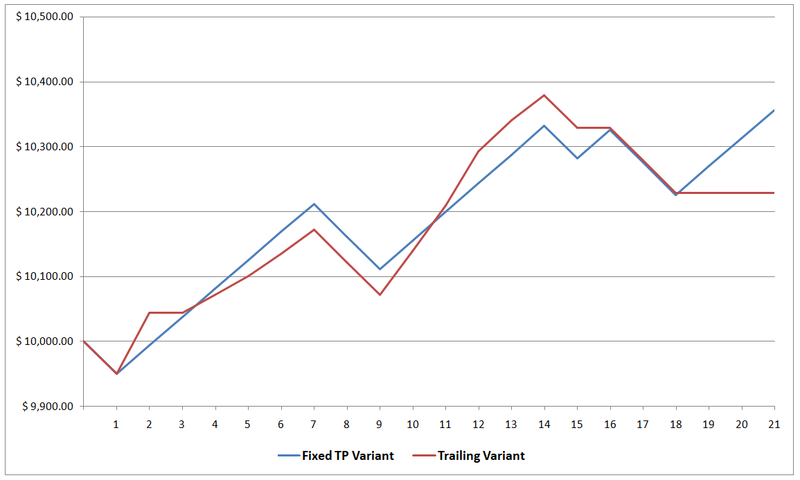 However, the Trailing Variant’s performance today does highlight the need for the tweaks. 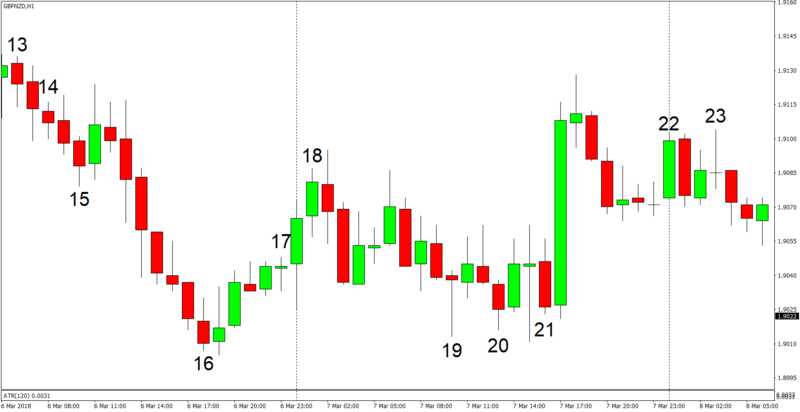 By the way, if you’re a first-time reader and if you’re wondering what the numbers on the charts are about, they refer to the trade #, based on the chronological order when the signal was generated, not necessarily when the trade was opened or closed. And if you want to know more about the details of the previous trades, you can do that by clicking on the link below. Also, this is the second month of the forward testing phase. If you want to know how both variants fared in February, then you can do that by clicking on the link below. Note: Trades # 22 and 23 were triggered on March 8 and were therefore not included in today’s update, but they’ll show up in tomorrow’s update. All these will be moot once I rewrite and republish the completed forward test results in order to reflect the updated rules, but might as well go through with the motions. Anyhow, price action on March 7 was a bit choppy. That didn’t matter too much for the Fixed TP Variant, though, since it harvested more gains and is now up by 3.56% for the month (+2.76% previous), which also happens to be a high water mark. As for the Trailing Variant, well, it suffered one full loss and left empty-handed from the three profitable trades that followed. The Trailing Variant is therefore only by 2.29% for the month (+2.79% previous). And this annoying tendency to exit empty-handed from a profitable trade when a trend fails to form really highlights the need for some of the tweaks I introduced in the updated rules. Anyhow, that’s all for now, so check out the updated rules and tell me what y’all think. I enjoy your feedback, so if you have any questions, or if you found a possible error somewhere, or if you just want to say “hi”, then don’t be shy and write a comment down below!